Are you a bicyclist who’s in need of a rush but can’t afford a motorcycle? 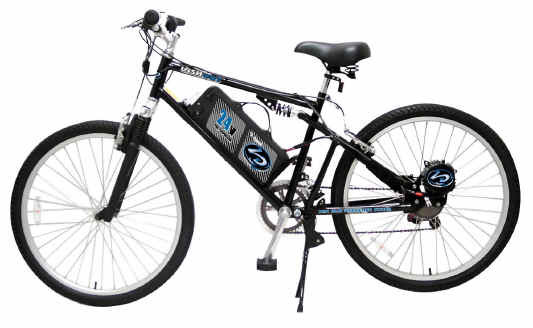 Then, a gas powered bicycle is an option that you should take into consideration. A gas powered bicycle can give you that extra boost in speed that you’re looking for. A gas powered motor is not very difficult to install as long as you follow the instructions and bear in mind certain tips, common pitfalls and things to remember and avoid. A typical gas powered bicycle kit can be assembled in about two hours and if you are not the most mechanically inclined individual, you can take it over to a mechanic and he can install it for you. 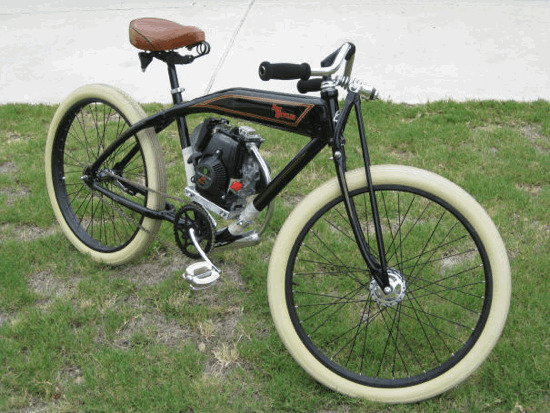 In this article, we will give you a few tips on how one can install a gas powered bicycle kit. Before you start with the installation of the gas powered bicycle kit, you need to check and verify the installation manual along with the sizes and specifications of all the major parts and components including the motor, brackets and the exhaust. You need to make sure that each component is suitable for the bike and will fit properly. 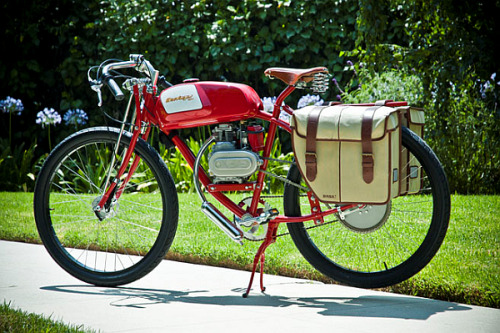 One must ensure that the brackets will mount properly and the engine fits along with the exhaust will have the required clearance from both the bicycle’s components as well as the rider in order that the gas powered bicycle is functional and safe. There are a number of things that you need to keep in mind when installing a gas powered bicycle kit. It is essential to remember never to modify the mounting equipment or mounting angles for the motor. Any changes will cause the motor to go off balance and lead to a very unstable and wobbly ride and can even throw an individual from the gas powered bicycle completely. If your gas powered bicycle kit has a kill switch, this particular component needs to be grounded properly which entails taking off a small amount of paint from your gas powered bicycle where the kill switch is located. It is very important for one to check and confirm the clearance and mounting of all the moving parts which includes the belts and gears. Finally, feel free to take your time and carry out the installation with the help of the suitable tools. A rushed assembly or installation on your gas powered bicycle can lead to a dangerous situation and using incorrect tools for the job can damage certain parts and make the installation job unnecessary difficult. More people have been using motorized bikes because it allows them to stay away from traffic jams on the road and it is a lot cheaper as opposed to other modes of transportation. In order to choose the most suitable motorized bike for a specific need and preference, below are the steps that one needs to follow. 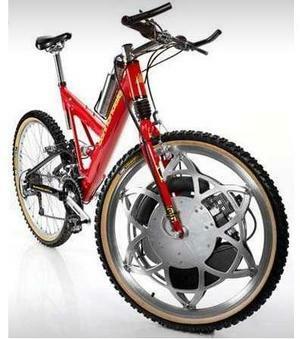 Visit a reputable bike store and see all the types of motorized bikes available. Allow the bike specialists to explain all the features and functions of each bike. It will also help to browse the many popular bike magazines to get an idea about the different types and features of motorized bikes. The World Wide Web is also a good venue to look for useful reviews about motorized bikes. After familiarizing oneself with various motor bikes, decide on the preferred type of bike. Ask yourself in you want a bike with power assist pedaling, a bike with a spiral gas or any other type of bike. List all the necessary features and find ones that meets all the requirements. 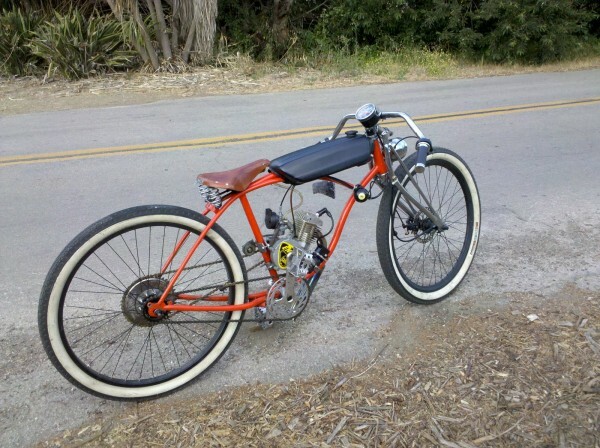 It is also important to determine the purpose behind using a motorized bike. Find a motorized bike that will serve the function that you want to enjoy. Whether you want to bike for fitness or for leisure, there is a right bike to buy. Most people enjoy riding on a motorized bike because unlike riding on a traditional bike, it will not hurt your muscles even after a whole day of biking. It also refreshes your mind and body, and you will not sweat much which is a common problem in riding on a traditional bike.